Indigo is an ancient natural dye that ranks among the oldest dyes to be used for textile dyeing and printing. Egyptian mummies from as far back as 2500 BC have been found covered in indigo dyed hemp cloth. A cuneiform tablet dating back to the 7th century BC was discovered in Mesopotamia giving a recipe for the dyeing of wool, saying “… lapis-colored wool (uqnatu) is produced by repeated immersion and airing of the cloth”. This indigo was most likely imported from India, for it is believed that India is the oldest supplier of the blue dye. It was a luxury item used by the Romans in painting, and in medicinal & cosmetic purposes. Indigo remained a rare commodity throughout the Middle Ages, until a direct trade route was discovered by the Portuguese explorer, Vasco da Gama in the late 1400s. This caused the European use of indigo to increase significantly. 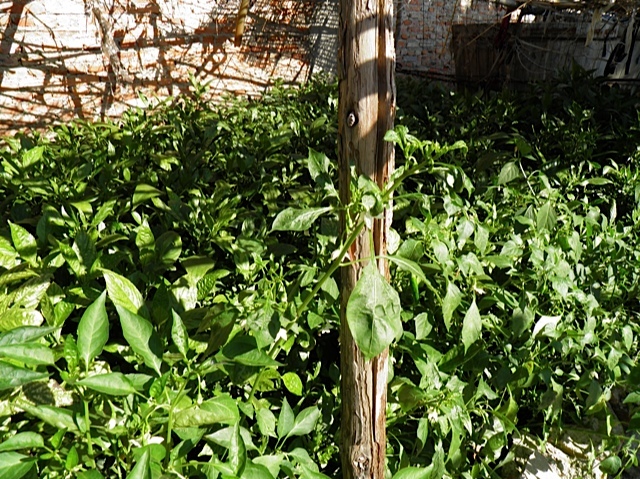 Eventually, indigo plantations could be found in many tropical regions around the world. By the late 1800s, 19,000 tons of indigo was being produced from plant sources every year. A few years later a synthetic indigo was invented and by 2007 17,000 tons of synthetic indigo was being produced worldwide. Most of this dye was used in the production of denim for blue jeans. 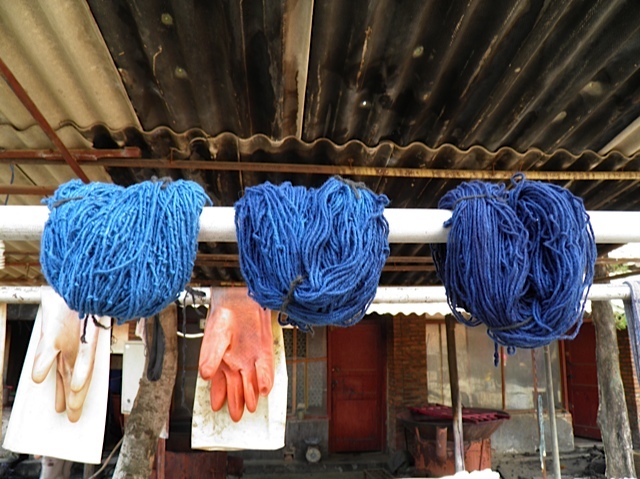 While most of the indigo used today is synthetic, we at The Rocking Yak, use an all natural dye made from the indigo plants farmed in the region. The plants are harvested and left in large wooden barrels to ferment. 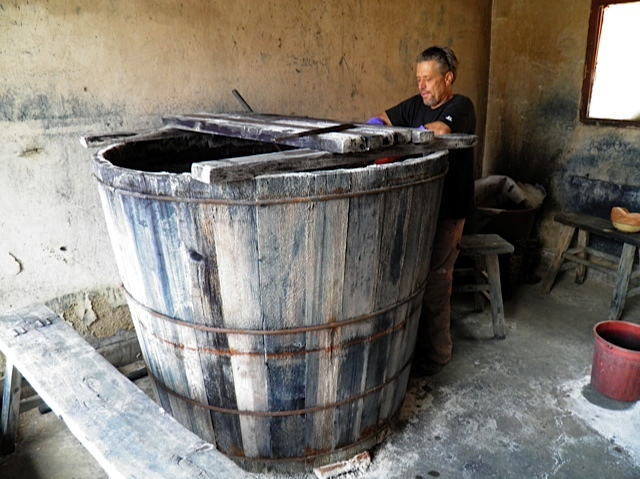 Once the dye stuff is ready, it is placed into another large barrel & made into a dye bath. 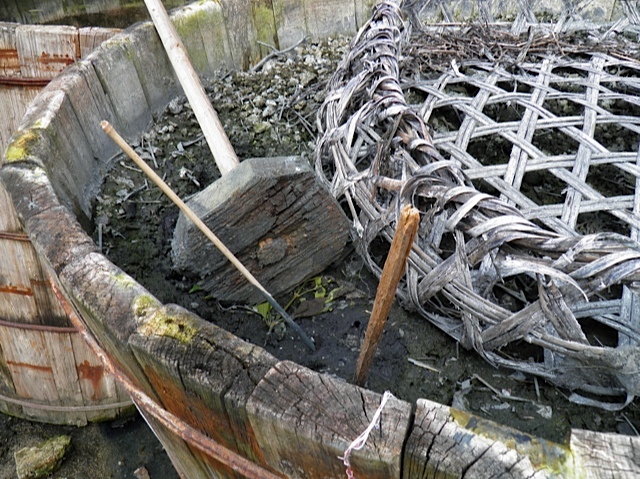 We use the traditional method of our region to hand dip our yarn. The dye bath actually looks green in color. 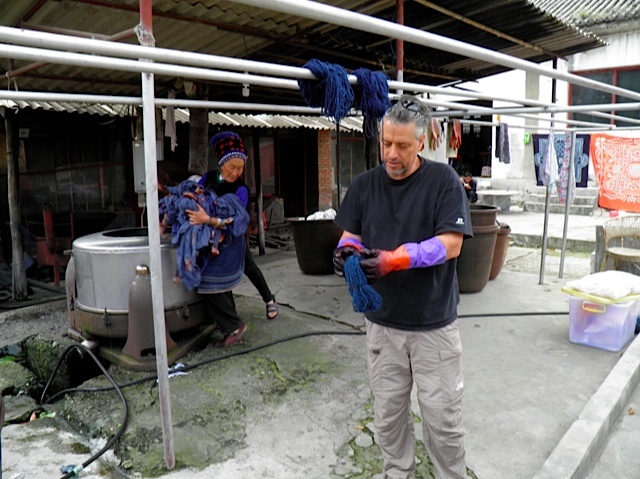 As the yarn is brought out of the bath and begins to oxidize, it turns into the blue that we all love. Dyeing our yarn in this way is a LOT of work, but if you ask us, it is worth all the effort that goes into each small batch of dyed yarn. It is our desire to do what we can to honor & preserve the culture & traditions of the villagers we work with.